Lawyers, also referred to as attorneys or counselors, are licensed by the state in which they practice to advise and represent clients on legal matters. They can represent individuals, groups of individuals as a single, litigating party, businesses, or even the government. Approximately 792,500 people were employed in this profession in the U.S. in 2016. Lawyers represent either the plaintiff—the party that's filing or initiating a legal action—or the defendant, the party that's being sued or charged. They advance their clients' case through oral argument and written documents, and they counsel clients on how the facts of their particular case apply to the law. Lawyers’ roles and daily responsibilities can vary considerably, depending upon their practice environment and field of specialization. Interview new clients and meet with existing clients to render legal advice. Perform legal research to determine how the facts of a case interact with current law. Perform case research by taking depositions, attending site inspections, and engaging in discovery, the exchange of information pertinent to a case from both parties to the action. Argue motions and attend other pretrial court appearances before a judge. Draft legal documents including pleadings, discovery, motions, briefs, contracts, and wills. Follow up after a court decision has been handed down or a settlement has been reached, ensuring that all parties to an action do what they've been committed or ordered to do. Corporate attorneys, also known as transactional lawyers, additionally structure and negotiate business transactions, perform due diligence, prepare and submit materials to governmental bodies, and supervise closings. Corporate lawyers tend to work on “deals” rather than “cases,” and they advocate in boardrooms more than courtrooms. Lawyers' compensation varies greatly depending on practice setting, geographic location, and the demand for a certain specialty. While starting salaries for attorneys in large metropolitan law firms such as Boston and New York range from $135,000 to $160,000, attorneys in the public sector, such as public defenders and district attorneys, earn much less. This field requires significant and ongoing education, as well as licensing. Education: Lawyers complete a minimum of seven years’ post-high school education in order to become qualified to practice law. This education includes a four-year undergraduate degree followed by three years of full-time law school. Law school can require four years in a part-time program. Continuing Education: Most bar associations require that lawyers complete a minimum number of hours to further education each year to maintain their licenses to practice. A potential lawyer can be denied membership in the state bar association due to academic misconduct, a history of drug abuse, or having a criminal background, particularly one that includes a felony conviction. And you can't practice law if you haven't been admitted to the bar in that state. While attorneys are a diverse group with different backgrounds and personalities, a number of skills are common to most successful lawyers. 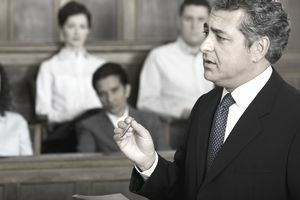 Exceptional oral and written communication skills: Many cases are won or lost based on written submissions to the court before a lawyer ever appears in front of a judge. Strong oral skills are required for court appearances. Analytical skills: It's crucial to determine if a case is winnable from the start and advise clients accordingly. Empathy and compassion: Clients are coming to you because they have a problem they need you to sort out. Rarely are you meeting them at the best times of their lives. Honesty and trustworthiness: Lawyers must also follow strict ethical guidelines and client confidentiality rules. The job market for lawyers is projected to grow by about 8 percent from 2016 through 2026 due to increased demand for legal services, population growth, new corporate compliance regulations, globalization, and increased business activity. Factors that might negatively impact the market for attorneys include a shift toward using accounting firms, paralegals, and overseas legal vendors in an effort to reduce legal costs, as well as the expanding role of alternative dispute resolution. This can be a highly competitive field with more students graduating from law school each year than there are jobs available for them. Three out of four lawyers work in private practice, either in a law firm or a solo practice. Lawyers also work in private industry, the government, the judiciary, education, and public interest organizations. Those who work for large firms often begin as associates and are expected to work their way up to partners or lose their positions. In any case, the workplace rarely strays from office or court settings. You'd be hard-pressed to find a lawyer who works less than 40 hours a week, and most work considerably more. Those who work in large firms are among those who tend to put in the longest hours, as do those who are in private practice. Some are "on call," such as those who represent criminal defendants and might have to make an unplanned trip to the jail in the wee hours because a client doesn't want to speak with the authorities without his lawyer present. This type of activity is usually reserved for solo practitioners and junior associates, however. Although participating in summer internships during law school might not be required, it can add immeasurably to a lawyer's resume and make a difference in a competitive employment climate. Interning involves working for an established law firm, or sometimes for the government, and it can provide invaluable experience. Be willing to relocate due to a state with more job openings might be necessary if you live in a state with a glut of law school graduates. This invariably means passing the bar exam and being admitted to the bar in that state, however. A law degree can be useful in some other fields as well.